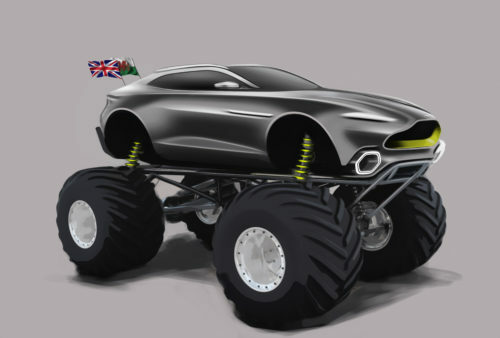 Aston Martin has delivered shockwaves in the motorsport world, after unveiling its latest competition-crushing monster truck program – ‘Project Sparta’. In what was already set to be a landmark year of motorsport for the luxury British marque, its entry into the monster truck world adds even more excitement for fans worldwide, on top of both Aston Martin’s Formula One and FIA World Endurance Championship campaigns. Project Sparta, which has been engineered in parallel with the brand’s upcoming DBX SUV, is set to wreak havoc in the Monster Jam series from 2019, taking on some of the world’s biggest names including Grave Digger, Big Kahuna, Ice Cream Man and Jailbird. Named after the Ancient Greek province, famous for its battlefield warriors, this monster will take no prisoners.